Chandler & Price electric hand feed press with all required rulers, sticks, furniture, frames, stones, wrenches, lockups, cutters, type, type cases. Several dozen assorted types in cases. 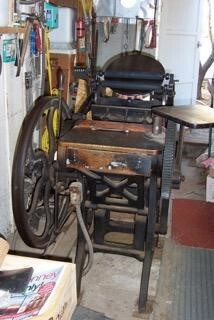 I am listing this for an old friend who inherited this entire print room from her father. Complete shop.